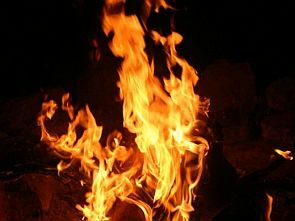 Close on the heels of two Dalit children being burnt alive in Faridabad, a 21-year-old Dalit youth was allegedly burnt to death by a former village head and his family members herein Yamunanagar over some old rivalry, the police said on Friday. The incident took place in Daulatpur village of the district on Tuesday. An old rivalry is suspected to be the reason behind it, the police said. The victim's father, Kehar Singh, alleged that former village head Ram Swarup and his family members poured kerosene on his son Rajat and set him on fire. However, initial investigations suggest that Rajat had allegedly poured kerosene on himself, police said. The youth succumbed to his burn injuries on Wednesday in a hospital at Mullana near here, they said. A forensic team visited the village and collected evidence, the police said, adding that six persons have been booked under various sections of the Indian Penal Code. Those booked are Ram Swarup, his wife Mukhtayri Devi, their three sons -- Chander Bhan, Vindo Kumar and Gopal -- and Ram Swarup's brother Tara Chand, they said. The police said a scuffle took place between both the Dalit families on October 5, in which the victim's mother was injured. Rajat was arrested after the clash but was later released from jail on October 20, the police said, adding that a probe is underway and no arrests have been made so far.